Who doesn't like Jane Dunnewold's work? If you don't, I'm sorry but you're just plain wrong! Jane has authored so many lessons, articles, and books on creating wonderful mixed media art, but Creative Strength Training, published by North Light Books, is like no other. In this book, Jane gives you her step-by-step strategy for unleashing the creative potential that resides within you. Feeling stuck? Feeling uninspired? Feeling like nothing you do is quite good enough? Jane has a cure for that! As you work your way through the book, and I do recommend doing it sequentially, you will do a series of exercises that ultimately will help you figure out how to make your work truly your own, not a copy of someone else's. These exercises most often include journaling, making lists, and exploring avenues that you might not have thought of before. 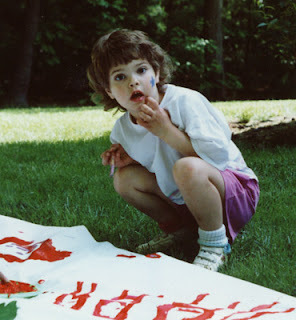 As Jane says, you will learn first of all how to engage your inner art rebel and how to dismantle the destructive committee that keeps you second guessing yourself and your abilities. This is not a book that teaches you a lot of new art techniques...it teaches you how to take the ones you know and love even further into uncharted territory! And the strategy works too. The proof is in the "Artists Respond" section of each chapter, where participants in Jane's workshops tell about some of the breakthroughs they achieved. 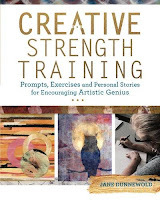 So get ready for some strength training of a different sort...Creative Strength Training! !